Period doors offer true authenticity for homes throughout Hampshire, Farnham, Camberley, Aldershot, Basingstoke, Surrey, Hook, Farnborough, parts of Berkshire, Bagshot, Lightwater, Cove, Frimley, Yateley and surrounding areas. They complement period features of your home with a beautiful appearance. The new period door collection from Cristal is a response to the requests for a timber effect door that matches typical period properties, found within the catchment areas of our customers. Our fabricators Climatec set out to recreate a collection of premium uPVC doors that offer the perfect match for the property as well as the security, thermal and acoustic benefits that are expected from a door today. The period door collection we offer initially consists of five heritage doors from five historical eras; a collection of designs that emulate the features of properties from the 1700-1900s. To maintain the authenticity of the period property, our new doors are fitted with a slam shut lock as standard, removing the need for a lever or pad handle normally found on the outside of a typical uPVC front door. Completing the overall effect of an older timber door, we have included mechanical joints and the addition of traditionally styled pull knobs and door knockers. These doors can be produced for some of the very narrow door widths associated with older style buildings, unlike the limited sizes associated with modern composite door designs. Our full set of period doors includes fantastic hardware add-ons and accessories to configure their performance to complement a property’s pre-existing architecture. Features are completely innovative and provide high-quality operation, including unique handles or multi-point locks. Our period doors are great energy saving solutions, featuring leading technology incorporated into the profiles composition to provide insulation. Double or triple glazed, these doors will provide long-lasting, low-maintenance service to you and your home. Our doors achieve low U Values too. Our period doors complement features of a heritage property. They are enhanced by high-quality locking mechanisms, strong and durable profiling and exquisitely fitted glazing to provide an extra secure entrance to your home. Our uPVC doors outclass traditional timber for home security. These periods doors look great in whatever colour your choose. There is a vast selection of colours for your frame with glazing options to complement it. We embed into our ideas options for traditional double glazed doors and bold, contemporary doors, to help you achieve perfectly imagined doors. Our period doors are finished to be completely authentic, utilising traditional joins and the classic appearance of timber to enhance their realistic appearance. Your home will look truly spectacular with one of our period doors as your heritage front door in Hampshire. 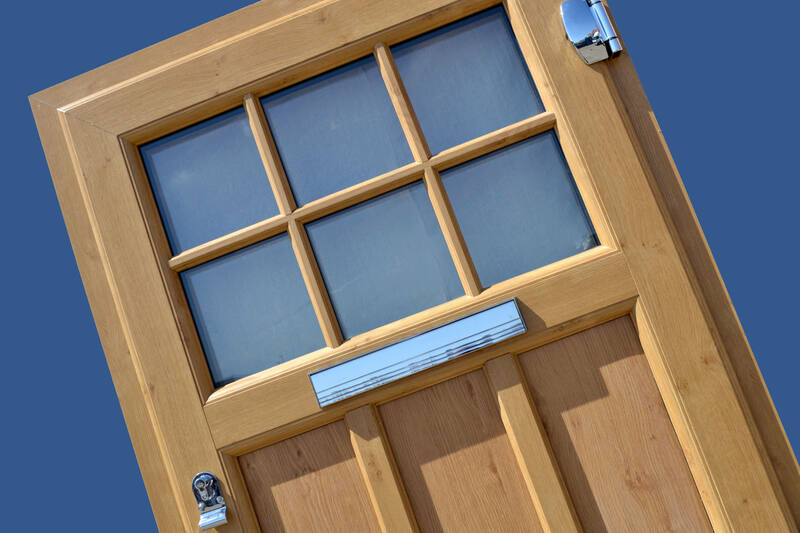 The doors we offer meet the highest standards of performance, providing exceptional security and thermal efficiency. They are fitted with a slam shut lock as standard, meaning there is no lever or pad handle normally found on the outside of a typical uPVC front door. Traditional timber doors are hard work, with endless maintenance cycles and the chance of splitting and rotting wood. With our uPVC period doors, you will benefit from all the beauty and style of timber, yet with none of the costly and time-consuming upkeep. Our period doors come in a range of easy to maintain styles, with each one completely tailored to your tastes. You can opt for a range of traditional hardware features and you can choose from a number of beautiful, long lasting colour finishes to complement the architecture of your home. If you feel you would like to know more about our period doors, then simply contact us today. Our expert advisors will be happy to help you find the perfect period door for your home, in a cost-effective way. Alternatively, you can get in touch with us via this method if you are looking for more information regarding our doors or other services. We’ll be more than happy to help you with any enquiries you may have.